This may only be funny to those who attended Berkeley...but I thought it might transcend. 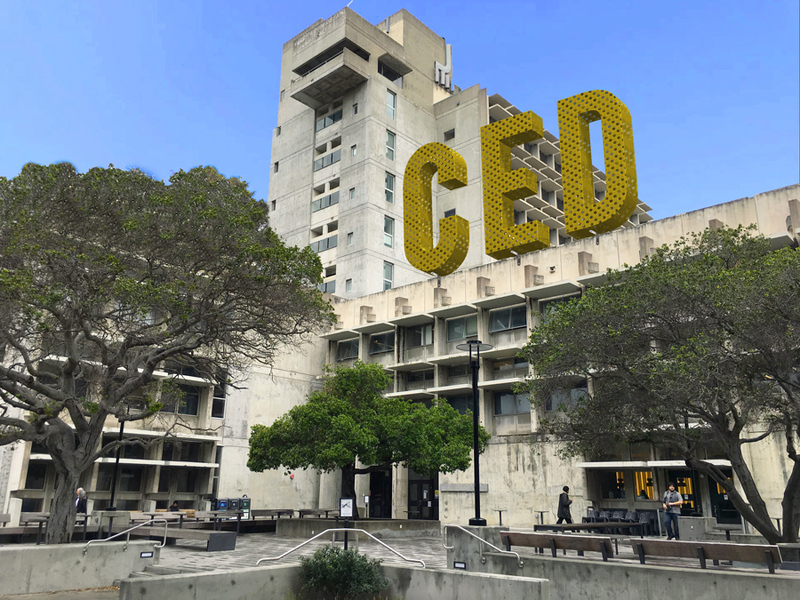 In an effort to better connect Wurster Hall to the greater UC Berkeley community, and address the oft-repeated complaint that the building is "so ugly," the College will be painting, color-washing and sandblasting the concrete building's exterior. "I don't think this building could look any worse," shared a Berkeley Haas student in a recent community meeting. "You might as well give it a try." The centerpiece of this campaign will be the installation of a "California Gold" perforated metal sign (pictured above), commissioned by Dean Jennifer Wolch in honor of her 10-year tenure as William W. Wurster Dean of the College. Work is expected to begin in May, depending on weather and contractor availability. Read below to see additional proposals or works-in-progress as part of this beautification initiative. 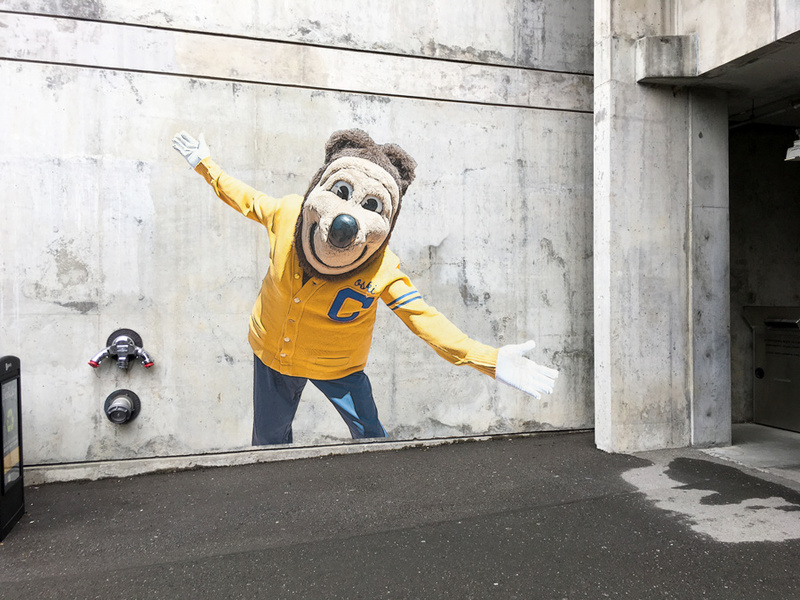 Who better to welcome students to the College than Cal's beloved mascot, Oski! A mural was recently completed to welcome newly admitted students to the Wurster community. The mural's grand unveiling will take place today in front of the building. All are invited to attend! 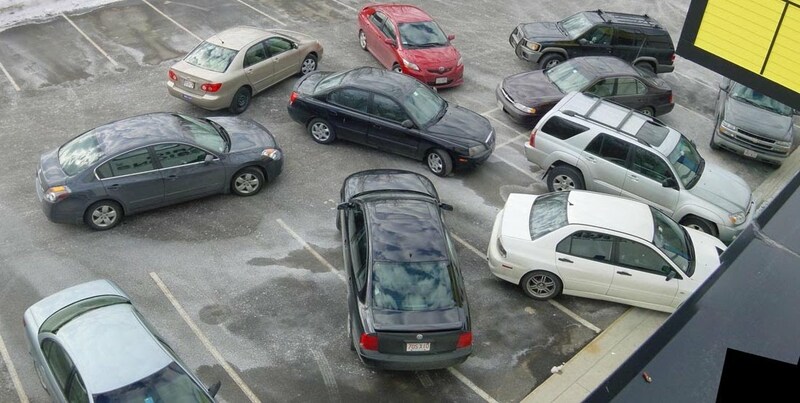 In an attempt to alleviate the congestion and traffic woes of the shared Berkeley Law and Wurster Hall parking lot (pictured below), UC Berkeley has commissioned a team of architects and engineers to 3-D print a multi-story parking structure entirely out of coffee grounds. The project, led by Professor of Architecture and 3-D printing expert Ronald Rael, will use over 150 tons of coffee grounds and is expected to be LEED Green Building certified. The first 50 tons of recycled coffee were generously donated by Rice & Bones, and CED is currently seeking additional support from local roasters. If you have any questions or feedback about this beautification campaign, please visit our campaign website.